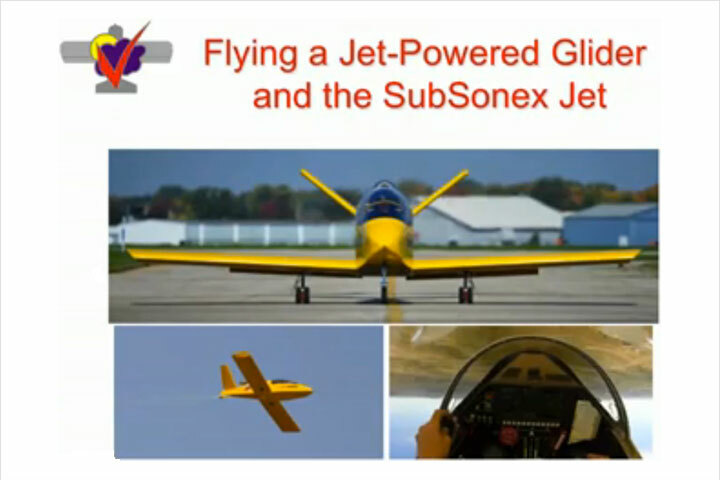 November 30, 2012: SubSonex featured in AOPA publications; Design and Prototyping Work on JSX-2 Progresses; “Flying the SubSonex JSX-1” video now available for viewing online! 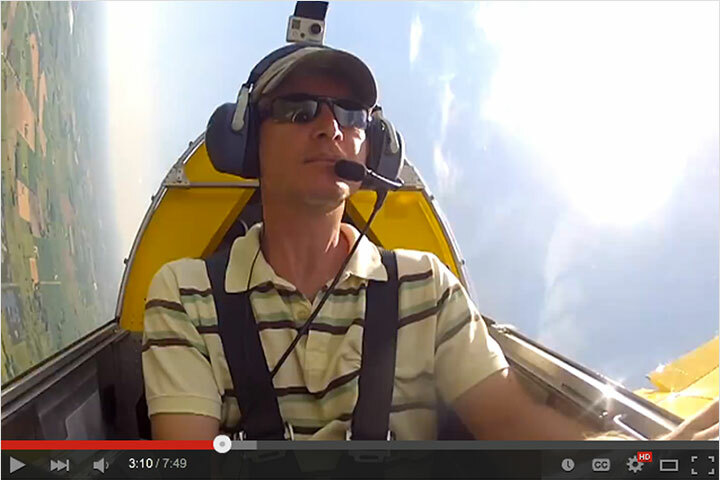 SubSonex Featured in AOPA Publications! The SubSonex is featured in the December, 2012 issues of AOPA Pilot and Turbine Pilot magazines! The article, “Jet in a Box: Some Assembly Required” is written by SubSonex lead test pilot Bob Carlton and covers the SubSonex flight experience, as well as some of the aircraft’s history and our plans for the future of the design. Larger Cockpit: SubSonex JSX-2 will feature a larger cockpit vs. the JSX-1 proof-of-concept aircraft. Where JSX-1 uses a longeron section that tapers from 24″ in width at the pilot’s shoulders down to 20″ at the windshield bow and continues down to 17″ wide at the fiberglass nose cone, JSX-2 will have a straight section of parallel longerons which maintain the 24″ cockpit width from the pilot’s shoulders to the windshield bow. This will also allow for the installation of a larger instrument panel. Improved Lines/Aesthetics: The nose area of JSX-2 features not only the parallel cockpit longerons, but also a down-sloped angle to the upper longerons forward of the windshield bow. This will give the aircraft a smoother transition to the nose cone that is much more aesthetically pleasing. 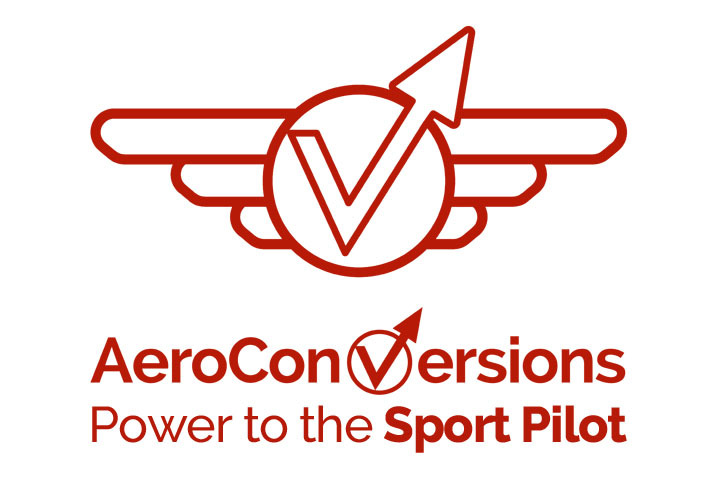 The combination of these changes in the aircraft’s forward longerons also reduces the angles of the fuselage sides as they taper from nose to cockpit, to tail, further improving the looks and function of the aircraft. Fully-Retractable Landing Gear: The new SubSonex prototype will feature retractable main and steerable nose gear, with electrically-actuated retraction/extension. The gear system will be further improved to include dual-truck main gear with an innovative design featuring integrated axle mounts with built-in hydraulic brakes. The axle mount/brake unit will interface with the main gear legs to include oleo strut style shock absorption using urethane rods instead of a hydraulic strut. The dual wheels will offer greater redundancy and safety for the relatively higher runway speeds required for a jet aircraft. Ballistic Parachute Recovery System: JSX-2 will include a ballistic parachute full-aircraft recovery system. This will eliminate the need for a pilot-wearable parachute, greatly improving cockpit comfort and further increasing available cockpit space. 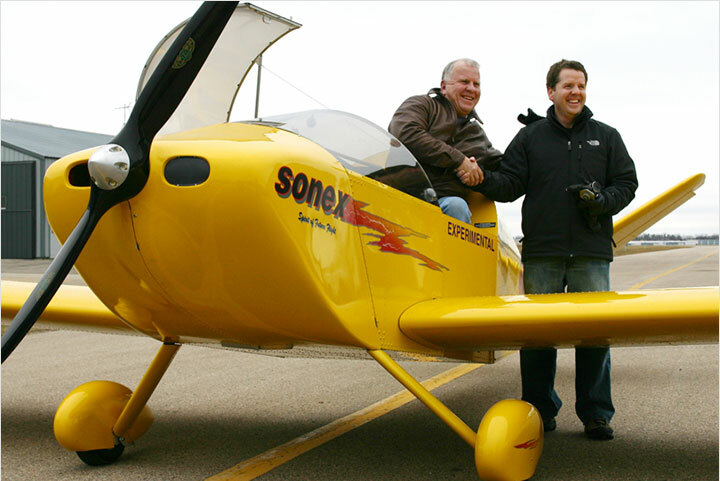 Air-to-Air photo missions were conducted with the SubSonex by legendary aviation photograher Jim Koepnick. You can find several of the photographs in the December, 2012 editions of AOPA Pilot and Turbine Pilot magazines, illustrating Bob Carlton’s feature story "Jet in a Box: Some Assembly Required." SubSonex JSX-1 caught the attention of AirVenture crowds with flight demonstrations during the pre-airshow showcase on Monday, Wednesday and Saturday during AirVenture 2012. 3-View drawings of JSX-2, a new SubSonex prototype with advanced features and improvements. Larger Fuel Capacity: The SubSonex will see increased fuel capacity of 40+ US gallons compared to the current JSX-1 prototype at 32 gallons. JSX-2 will also feature a production fuel cell vs. the original prototype’s welded aluminum tank. Just like the rest of the Sonex Aircraft fleet, a rotationally-molded cross-linked polyethylene fuel cell will be used, making for a very robust and rupture-proof tank design. Easily-Removable Outboard Wing Panels: Inspired by the popular Onex single-place aircraft design, the SubSonex JSX-2 will use a carry through center wing spar section with easily-removable outer wing panels. While a Onex-type folding wing will not be used in the SubSonex in order to save weight, removal of the aircraft’s outer wing panels will be a one-person task that will be extremely simple and easy. The fuselage with wing center section will easily fit into an enclosed trailer along with the removed outboard wing panels. Smoke System: The Hornet’s Nest design team is also planning an integrated smoke generator for JSX-2, further increasing the jet’s fun-factor. 5-Point Harness System: A high-quality 5-point pilot harness will be used for SubSonex JSX-2, and would be a standard feature included with any SubSonex kit product. Autopilot Compatible: Although long cross-country flying isn’t part of the SubSonex’s intended mission, the aircraft’s control system is fully-compatible with today’s new generation of lightweight and compact autopilot units. Design of SubSonex JSX-2 is also an opportunity for the Hornets’ Nest R&D Team to take a fresh look at every aspect of the current kit features for the Sonex Aircraft product line. The SubSonex kit product is intended to be a premium kit, offered at the highest level of completion and ease of construction ever produced by Sonex Aircraft, LLC. The kit will feature more pre-fabricated parts with more matched-hole tooling than ever-before and a large number of high-quality CNC machined parts. Machined Angle Components, currently an upgrade option for other Sonex kits, will be included as a standard feature of the SubSonex kit along with Pre-Assembled Main Wing Spars. 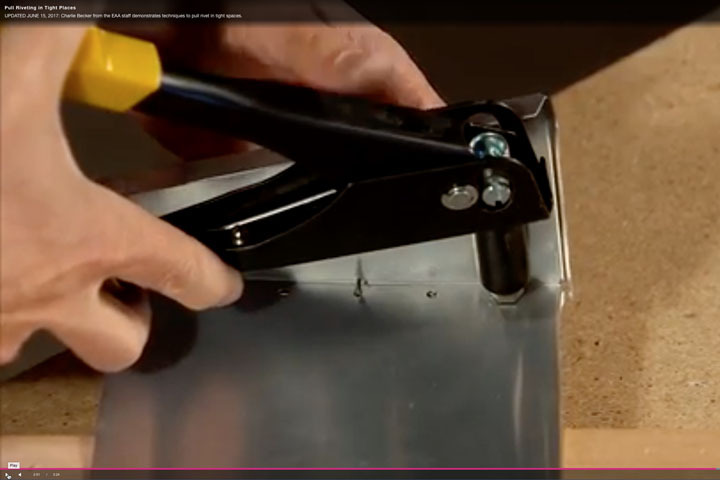 Like all-other Sonex airframes, the SubSonex will use simple blind rivet construction. The Hornets’ Nest Design Team will even be taking a fresh approach to the SubSonex plans with more isometric views and a “Tab A – Slot B” level of clarity and simplicity. Unlike other Experimental/Amateur-Built kit jets on the market, the SubSonex will feature exceptionally easy construction requiring minimal builder skills with no need for a builder assist program. SubSonex JSX-2 will continue to utilize the outstanding PBS TJ-100 engine. The TJ-100 has exceeded the expectations of the Hornets’ Nest Design Team in every respect. The engine is extremely simple and easy to install with a true “plug & play” design featuring an integrated ECU (electronic Engine Control Unit) and oil system, starter/generator utilizing a 24 volt electrical system, and plug-in engine monitoring/instrumentation and throttle control units. The engine’s plug & play installation, combined with the SubSonex’s efficient and easily-accessible pylon engine mount design is one more factor making the SubSonex an extremely simple and easy aircraft to build. Additionally, the support provided by PBS for the TJ-100 engine is second-to-none. When Can I Get a SubSonex of My Own? 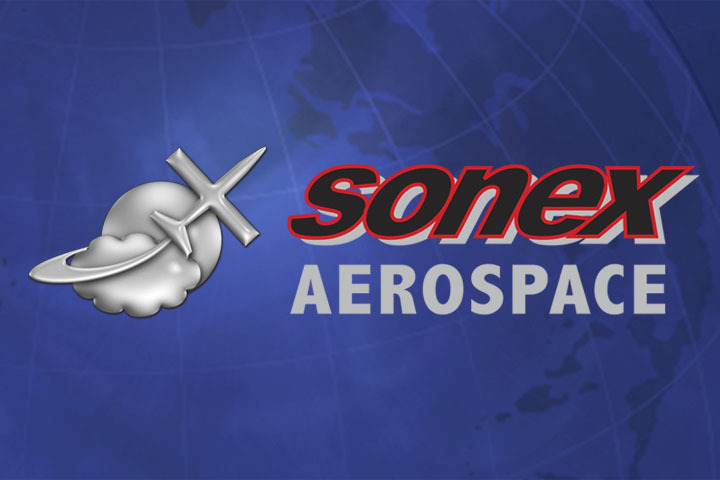 The intent of Sonex Aircraft, LLC is to offer a SubSonex kit jet product that can be built and flown for about the average cost of today’s new S-LSA factory-built aircraft. With JSX-2 still in the design and early prototype construction phases, there is much work left to do, including a thorough flight test program of the second-generation prototype. We are not taking any orders or deposits at this time, but we definitely want to know if you are seriously interested in owning a SubSonex of your own some day. The best way to express that interest is by joining the SubSonex Mailing List. The mailing list will automatically notify you of future project updates such as this one, and will also be the list we contact when the time comes to start selling kits. As was the case with the very-successful Onex single-place aircraft development program, mailing list subscribers will receive the earliest opportunity to order a SubSonex kit at the best possible introductory price. How Do I Qualify to Fly a SubSonex? Be sure to read Bob Carlton’s sidebar to the December AOPA article entitled “FAA and Jets.” Sonex Aircraft has forged a very positive working relationship with the FAA through the SubSonex flight test program, and we will be working to find ways to streamline the Letter of Authorization process for future SubSonex customers. Our hope is that a transition training syllabus will be approved by the FAA which may use Bob Carlton’s two-place BonusJet sailplane, or other relatively inexpensive “equivalent aircraft” as the only additional training required to obtain an LOA. In our view, the Bonus Jet offers the most directly applicable experience required to fly the aircraft, short of a two-place SubSonex. The Bonus Jet will give pilots hands-on experience flying the TJ-100 using identical controls and engine instrumentation, and will reinforce the energy management component that is vital to fly the SubSonex correctly, particularly in the approach and landing phases. A “fit check” mockup of JSX-2, the second generation of the SubSonex design, comes-together as engineering and design work on the new aircraft progresses in the Hornets’ Nest R&D Center. A 24″ cockpit width is maintained from the pilot’s shoulders to the windshield bow on JSX-2, giving the new aircraft a much more comfortable and roomy cockpit with the opportunity for increased panel space vs. JSX-1. JSX-2’s parallel forward fuselage sides and larger cockpit can be clearly seen from this angle. The down-sloped angle of JSX-2’s upper-forward longerons will give the fuselage a smoother transition into the fiberglass nose cone. Another angle showing the improved lines and functionality of JSX-2’s forward fuselage. JSX-2 will feature fully-retractable, electrically operated landing gear. This is a 3D design rendering of the steerable nose gear extended. This rendering shows the retracted steerable nose gear as a tidy and efficient package. A view of JSX-2’s main gear in the extended position as part of the wing’s carry through center section. The SubSonex main landing gear retracted into the wing center section, also showing the aircraft’s tidy and efficient electric gear rectraction system using CNC machined parts to be offered as bolt-in assemblies in the final SubSonex kit product. JSX-2’s durable and redundant dual-truck main gear features simple and innovative built-in hydraulic brakes as part of the main axel assembly, as well as integrated shock absorption using simple urethane rods in the main gear legs. The next generation of the SubSonex will feature a ballistic parachute full-aircraft recovery system, eliminating the need for the pilot to wear a parachute. This will greatly increase pilot comfort and offer additional space to the enlarged JSX-2 cockpit. Unlike the Sonex/Waiex/Xenos style removable wings of JSX-1, JSX-2 will feature a Onex style carry through center spar section with easily-removable outboard wing panels. This will turn the wing removal process into a a quick and easy one-man job, making the aircraft ideal for small trailer transport.